On the Pacific side of Mexico’s Baja California, in the tiny fishing village of Pescadero, a virtually undiscovered beach stretches for mile after mile. 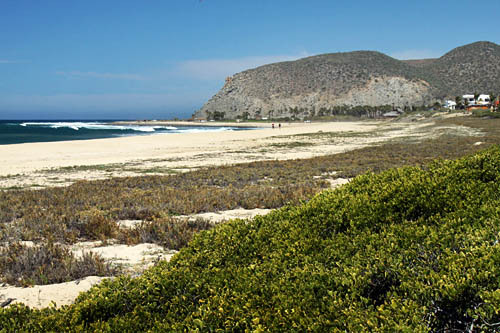 Fifteen minutes north lies the town of Todos Santos. 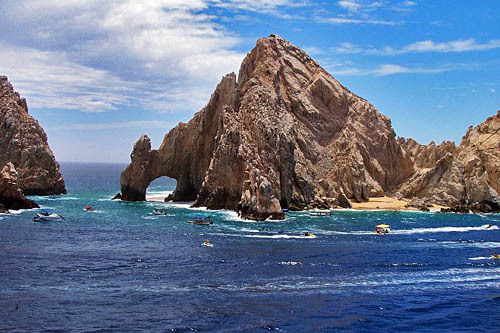 Once a sleepy village, this artists enclave and its lovely beaches have long since been “discovered.” To the south are Cerritos and Cabo San Lucas, both overbuilt and overrun with tourists. But Pescadero is still just a handful of homes scattered across the high dunes behind the beach, many owned by U.S. and Canadian citizens. Aside from those residents, savvy local fishermen, and in-the-know surfers, this gorgeous strip of pristine sand is known to few. Pescadero is not particularly welcoming to swimmers. The currents run strong on the Pacific side of Baja. But it offers up bounty for fishermen, whether surf casting or taking a boat offshore, and the northern point creates the kind of waves that surfers dream about. Much of the land is owned by one family, and they are in the process of building a palapa restaurant at the point, so the beach is bound to become more well known. But with the enormous expanse of sand that stretches from the southern end to the northern point, it will be many years before this beach is overrun or even the least bit crowded. Day trips are great, but should you want to stick around for an extended time and drink in the serenity, there are numerous accommodation choices, ranging from a couple of upscale resorts to basic surf-shack-grab-a-hammock hostel operations. 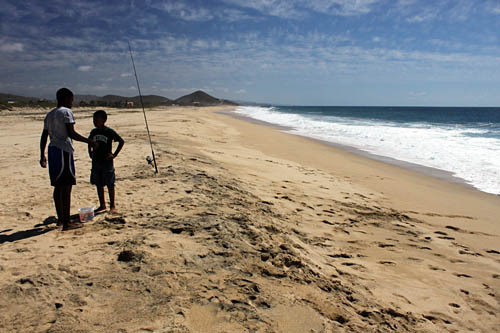 Pescadero is easily reached by car over good roads, or by bus from either La Paz or Cabo San Lucas. 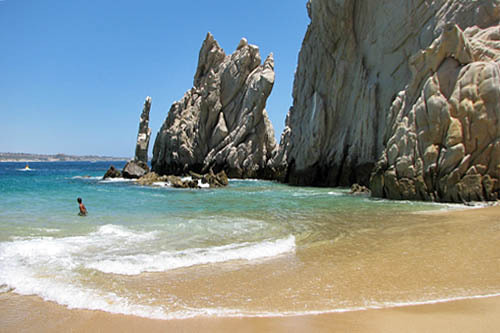 At the tip of Mexico’s Baja Peninsula a narrow breach in the sheer rock walls shelter two delightful beaches, Lover’s Beach and Divorce Beach. Lying back-to-back on this narrow isthmus, Lover’s Beach faces the Sea of Cortez and Divorce Beach faces the Pacific Ocean. The only way to visit these two gems is by boat, but fortunately this is no problem, since dozens of glass-bottom boat captains at Darsena Marina are only too happy to whisk you across the harbor for a fee of $5-6 per person. 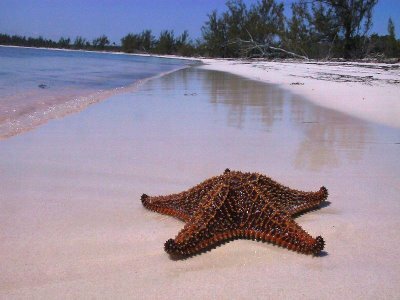 While it is simple to arrange for passage, it is more difficult to actually set foot on these beaches. The waves here are often high and strong, and there is no dock. Captains bring their launches as close to shore as possible at Lover’s Beach, but passengers must ultimately jump out into the water, so it is advisable to wear swimwear and not bring a lot of gear. When the waves are not rough, it is possible to swim and even snorkel a bit at Lover’s Beach, as long as you do not round the point. Currents on the Pacific side are so strong that it is not advisable to get into the water at all; the rough seas here are perhaps the reason it was named Divorce Beach. After a few hours (or at whatever time you have pre-arranged) your captain will return to pick you up. Unless the seas are extremely calm on the day you visit, getting back into the boat can be a challenge, necessitating wading out into the water and timing your jump with the trough of a wave. But despite the challenges, a visit to Lover’s and Divorce Beaches is definitely worth the trouble. Sipadan is a limestone island. That is really about it. There is nothing to do on the actual island itself, no amusement parks, big resorts with casinos, mini golf or entertainment centers. The magic of Sipadan lies underwater where scuba divers are provided with amazing wall dives where the drop off reaches 2,800 feet into the blue. Snorkelers of all levels will be amazed at what they are able to find within twenty feet off the beach. This is the result of over a thousand years of coral development atop a volcanic cone. Over 3,000 species of fish and coral life have been classified on Sipadan alone and the sea turtle population on Sipadan is known to be one of the largest in the world, underscoring the perfect conditions for marine life. In fact, the marine life is so amazing and so impressive that Jacques Cousteau himself said it is a rare treat calling it “…an untouched piece of art.” It is no wonder that Sipadan is considered one of the top 10 dive sites in the world. 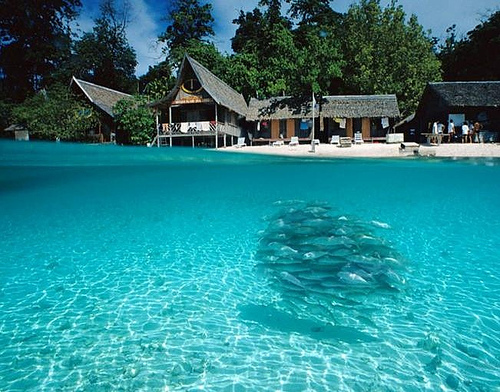 Once common around the world, islands like Sipadan are becoming increasingly rare having been developed and over dived. Sipadan, like many places, is not immune to such development and the increasing presence of less rustic bungalows are the telltale signs of development. One thing hindering development on the island, are the islamic extremists from the island of Mindanao, Philippines who have kidnapped tourists in the past. Today the Malaysian military has a clear presence on the island doing its best to protect tourists. I would say proceed with caution if you plan on going but then again, wouldn’t you always proceed with caution anyway to go somewhere remote? I believe so. Although, if you really want to stay safe, I guess there is always the local aquarium option. As a beach lover, I’ve had the pleasure of enjoying many beautiful shorelines, in many countries. I love pristine white sand beaches and I adore exotic black sand beaches but hands down, the most drop-dead gorgeous beaches I have ever gazed upon were on the tiny island of Barbuda. An unspoiled, sparsely inhabited sister island to Antigua, Barbuda offers the most beautiful and serene beaches in North America. Stretching for 11 miles nonstop, with hardly a beach towel or chair to mar its rosy glory, Barbuda’s beaches recall true paradise. There are lots of beaches on the island and some reveal pearly white sands but more with names like centerpiece and pink sand, present mounds of deeply hued blush-colored sand. I’m not talking slightly pink or almost pink ,like you find on Bermuda or Harbour Island. I mean true,cotton candy pink. The color comes from crushed coral and tiny pink shells. I keep bowls and bottles of it around my house to remind me of Barbuda’s pink sand loveliness. You can’t buy land in Barbuda, it’s all owned in common by Barbudians so the closest you can get to permanently capturing the idyllic beaches is by scooping up some of the pink sand and taking it with you. 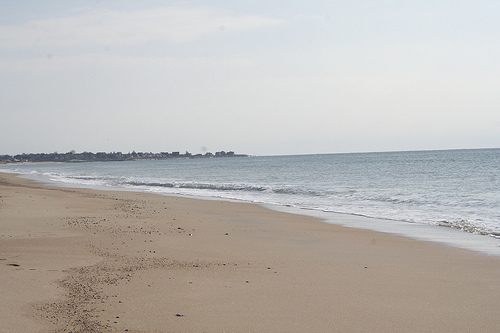 Rhode Island isn’t the first place I think of when a beach is mentioned, but Misquamicut State Beach is a gem in that regard. The beach’s history page even goes so far as to say, “A popular surf beach with Rhode Island residents, Misquamicut is also affectionately known as ‘Rhode Island’s best known and most popular’ beach by many non-residents, mainly from Connecticut.” Yes, Rhode Island can be well-known for its beaches. 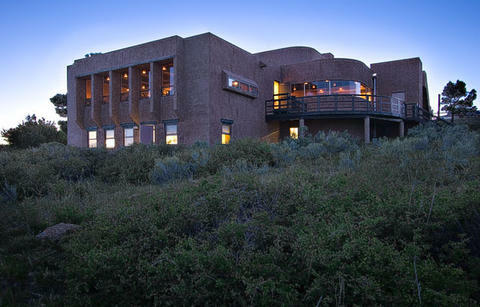 Famous for: Nearly a half-mile of beachfront, and being very popular with residents and non-residents alike. Admission: Varies from $3.50 to $15.00 per vehicle, depending on residency, senior citizen status, and day of the week. Travelers will like: All of the traditional beach activities–wading, swimming, sunbathing, surfing. Best months to visit for weather: The beach is only open from May through Labor Day. Best times to visit for crowds: Weekdays or before Memorial Day. The beach often fills to capacity on summer weekends. Nearest major cities: Providence, Rhode Island, about 50 miles away. More info: The Misquamicut Beach website. Related posts: Holidays in Newport, Rhode Island; Rhode Island Sunset. Photo courtesy of: Amy the Nurse on flickr. Post written by: Linda (minnemom) of Travels with Children. Fort Worden State Park (and Conference Center!) is a historic 19th century military fort in Washington State. The park (and conference center!) 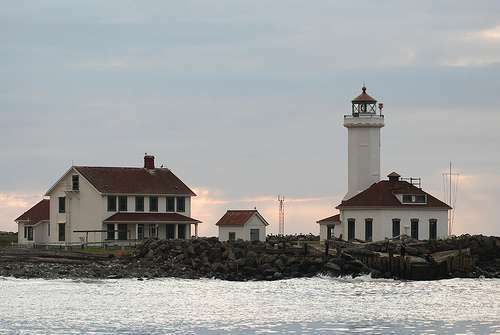 sits on 434-acres with over two miles of Puget Sound shoreline. Many of the original buildings from the fort still remain. There are over 80 campsites and discounts are available for large RV groups. 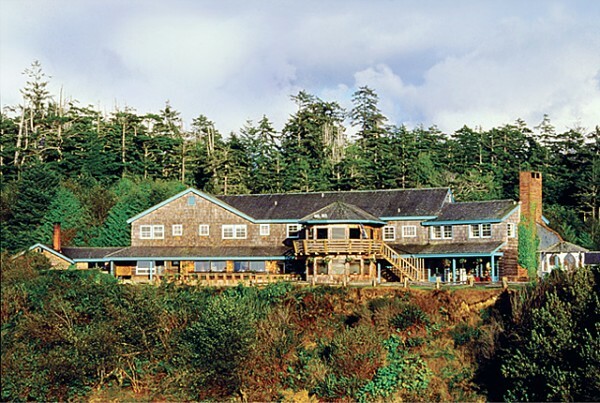 There is a lot to do at this beautiful state park (and conference center!). Famous for: Being an ex-military fort and the view! Also, conference center! Accommodations: There are 35 housing units (also, barracks and dormitories) available for renting year-round. Reservations are available one year in advance. Houses range from single to six-bedroom units with living rooms, dining rooms and kitchens. All houses have fully-equipped kitchens and linen service. Best campground in the park: Both the Beach (50 sites) and Upper (30 sites) Campgrounds are popular. The Beach Campground offers a breathtaking view of the Strait of Juan de Fuca, which sounds nice. More info can be found at the Washington State Parks website. At the bottom of the long fishhook shaped bay that makes up Puerto Viejo Bay in Mazatlan, Mexico lies a different kind of beach. This is not a beach for swimming. Nor is it for sunbathing. In fact, with its hard cobbled sand, grey water, and algae covered rocks, Fisherman’s Beach is not even a particularly pretty beach. 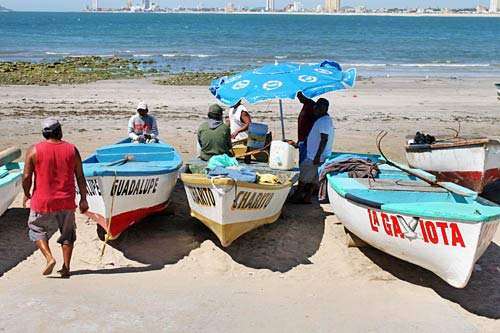 Yet is is a beach that’s worth a visit when in Mazatlan, for it is here that fishermen gather before dawn each morning and drag their their brightly painted traditional wooden boats across the sand and into the bay. By noon the fishermen have returned but their work is far from done. Once the boats have been hauled out of the water, nets must be mended, fishing lines untangled, and gear cleaned. This is a self-sufficient, industrious community; it is not uncommon to see fishermen tearing apart huge outboard engines or painting boat bottoms right on the beach. 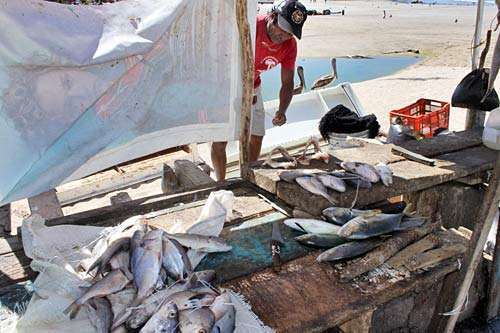 Some take on the duties of fishmonger, cleaning and gutting the day’s catch and laying it out on rough wooden benches for sale to the public. Even the pelicans are eager. They’ve learned the returning fleet means fish guts and other treats, and they boldly congregate around the fishermen, jockeying aggressively for their share of the booty. Unlike the rest of Mazatlan’s beaches, Fisherman’s does not have beautiful white sand and clear turquoise water, but it has one distinct advantage over those other picture-book perfect beaches: it offers up the freshest fish in town for astonishingly low prices, and the cultural experience is thrown in for free. Na Pali Coast State Park has some of the most dramatic scenery on the entire Hawaiian island of Kaua’i, with its tall sea cliffs. It also remote and hard to get to. The only land access is via the 11-mile long Kalalau Trail, which only the truly experienced should attempt to hike all the way. It takes most hikers two or more days to do the complete trek, and covers not only uneven terrain but in some areas, it borders along the sheer drops of the sea cliffs with only a few feet of land as a buffer zone. To hike the full trail requires a permit. Sea kayaking or boat tours are a popular way to see the coastline and cliffs of the park. One may also encounter pods of dolphins or humpback whales that like to swim near the park’s remote coves. For a splurge, take a helicopter tour for an aerial view you will never forget. Famous for: The dramatic sea cliffs that make park access difficult. Families with children will like: There’s not much here for the younger members of the family, though teens may like the short four mile roundtrip hike from Ke’e Beach in the neighboring Ha’ena State Park to Hanakapiai Valley in this park. 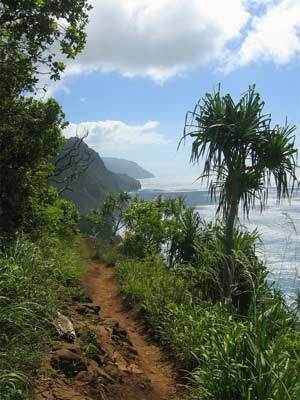 Permits are not required for this first part of the Kalalau Trail. Other travelers will like: Hanakapiai Falls at the back of Hanakapiai Valley feeds a pool that is calm enough to swim in. It is a four mile detour hike from the main trail. Easy sightseeing: Helicopter tours are available for additional fees from independent companies. They are based out of the Lihue airport. There are also commercial boat tours that can be booked for a sea view of the cliffs. These depart from Port Allen on the island’s southwest coast. Camping information: Na Pali State Park only offers backcountry camping and a permit is required to do so. This must be obtained in advance otherwise it is illegal to camp there. Due to the high demand for permits for this park, reservations are accepted up to one year in advance. Fees are $20/person per night. Other nearby lodging: Due to the remoteness of this park, those who don’t utilize the backcountry campsites will have to seek lodging well outside the park, and not attempt to walk the Kalalau Trail. Best months to visit for weather: Winter months have the best weather, but aim for April/May or September to November. There may be occasional rain, but less crowds. Best months to visit to avoid crowds: Peak tourist season is mid-December until the end of April. To avoid the worst of the crowds and high prices, visit during May or during the fall months. Cape Henlopen is where Delaware Bay meets the Atlantic, with Cape Henlopen State Park located just north of Rehoboth Beach in Lewes, Delaware. There’s a lot more to do here than just beach fun, since the pier is good for surf fishing and the park allows seasonal hunting. Also, the park houses Fort Miles -an old military base. Families with young kids will like: For starters, the 17 mile Cape May-Lewes Ferry crossing is itself an enjoyable trip. Secondly, dogs are allowed on the beaches. The Fort Miles barracks, the howitzers, WWII observation deck and the short climb up to the bunker all offer good fun for the kids. Families with teenagers will like: Surfing and driving on the beach, surf fishing on the pier, and a hike on the Walking Dune trail. 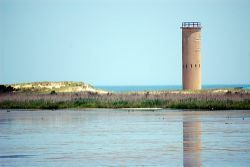 Other travelers will like: A visit to the Seaside Nature Center and Gordon’s Pond (hunting is allowed in some areas of the park in winter), an 18-hole disc golf course, horseback riding on the beach and biking on the park’s four trails. Easy site seeing: Rent a bike and poke around the Rehoboth Boardwalk, Lewes Historical Society, Cannonball House, Marine Museum, and the Peninsula Gallery. Best campground in the park: There are 139 family camp sites spread over the pine covered dunes. And 17 more campsites without water hookups, which you might want to avoid. Other than that, there’s not much to differentiate.